Palladium Hotel Group promotes a tourism model based on a commitment to quality. This is why during the last few years, the group has embarked on an ambitious mission to refurbish 3-star old-fashioned properties into some of the main tourist destinations in Europe. The hotel that changed Ibiza forever. Ushuaïa Ibiza Beach Hotel as we know it today started off in 2011 with extensive remodeling of the former Fiesta Club Playa d'en Bossa, under the expertise of Palladium Hotel Group's team. 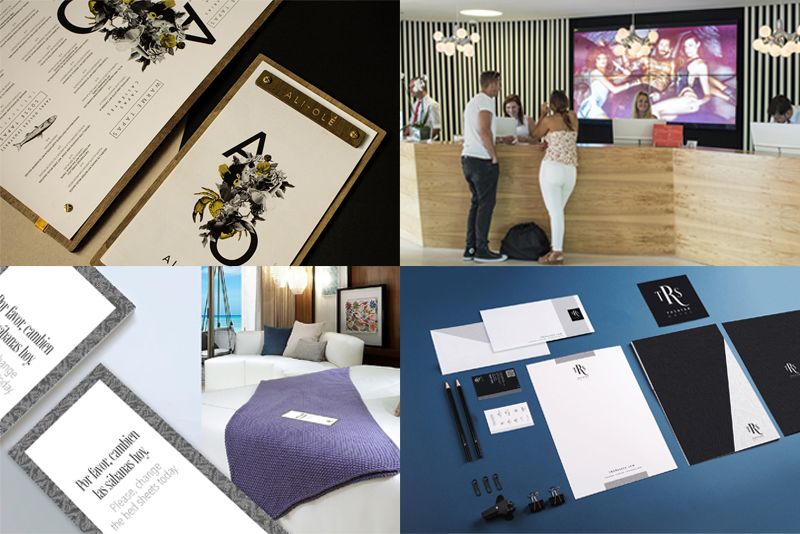 In 2014 the establishments of two three-star hotels were fully refurbished to transform into Hard Rock Hotel Ibiza, the first hotel of the international Brand in Europe. The hotel, managed by Palladium Hotel Group, was recognized as Brand Ambassador of the Year by Hard Rock International in 2014. The commitment with the prestigious brand and the success of Hard Rock Hotel Ibiza took us to the next big opening in Tenerife: the new 624-room, five-star beachfront resort was inaugurated in 2016 as a result of a complete renovation of the former three-star Fiesta Hotel Playa Paraíso. The new hotel located strategically opposite Madrid's Puerta de Atocha railway station, opened its doors in 2016 after an extensive remodeling of a residential building and offers a total of 206 elegant, modern and soundproofed rooms equipped with the latest technology for a comfortable stay. Throughout its history, Palladium Hotel Group has been truly committed to international expansion, originality and development. 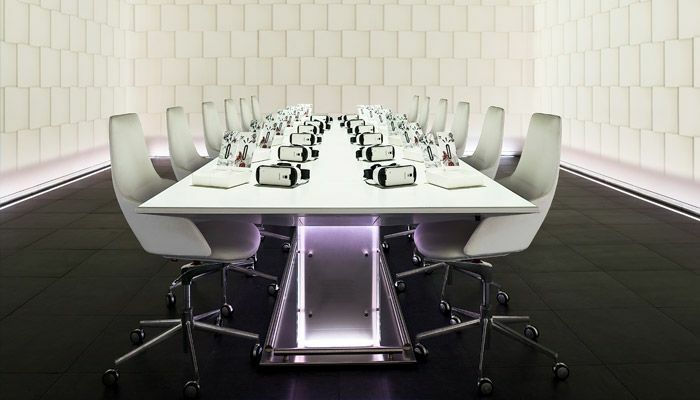 We continue to integrate design, state-of-the-art technology and lifestyle innovations in all our hotels. 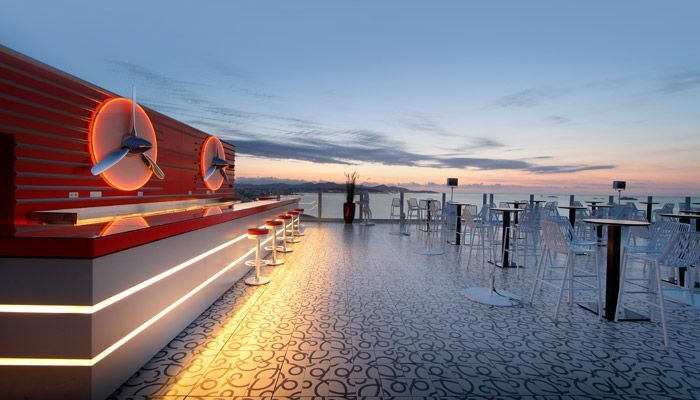 With exclusive on-site facilities, VIP lifestyle comes as a standard at Ushuaïa Unexpected Hotels and Hard Rock Hotels. Swim-up bars, massage jets, and underwater speakers complement the pools. The legendary Hard Rock Hotel Ibiza hosts amazing pool parties and live concerts while the world's best DJs perform at The Ushuaïa Club's state-of-the-art stage. THE BEACH CLUB at Ushuaïa Ibiza Beach Hotel. 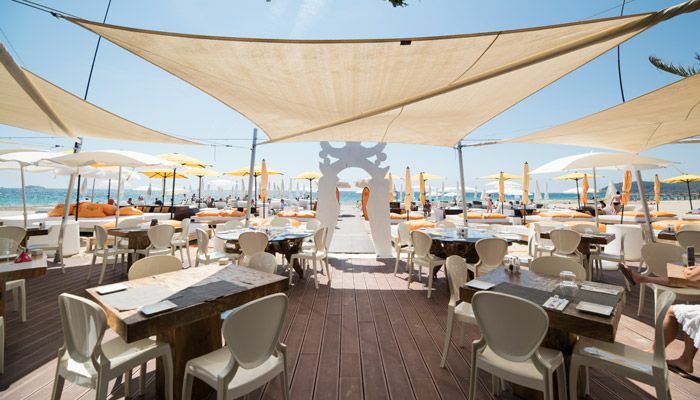 This stylish beach club combines the best music with an exclusive ambience, exquisite cuisine and personalized attention. A sophisticated terrace offers an unrivalled atmosphere, and the beach area features luxurious beds with first-class service and VIP treatment. 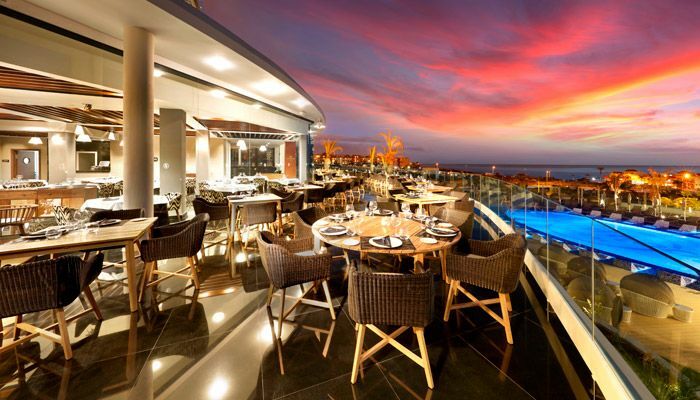 MONTAUK STEAKHOUSE at Ushuaïa Ibiza Beach Hotel and Hard Rock Hotel Tenerife. The combination of the enticing aroma of exceptional quality grilled meat surrounded by a minimalist and modern décor guarantees a wonderful evening for gourmet customers. TROTAMUNDOS at Only YOU Atocha. A "trip from Latin America to Asia through Spain". With these words we describe this menu, designed and developed by the chef Javi Mora with Jon Giraldo and Jaime Lieberman, the recognized Spoonik and Spoonik Club chefs, insignias of fusion cuisine. 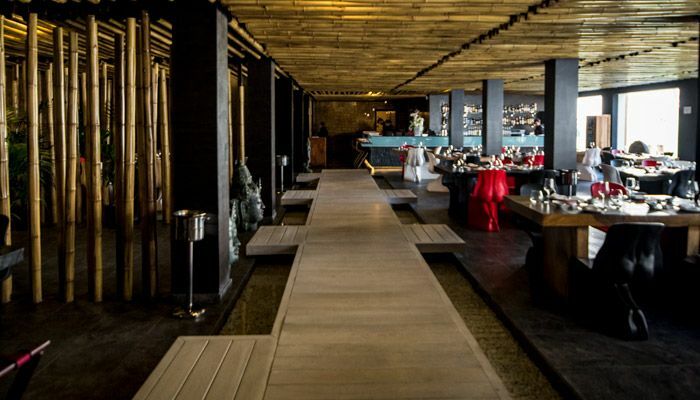 MINAMI JAPANESE RESTAURANT at Ushuaïa Ibiza Beach Hotel. 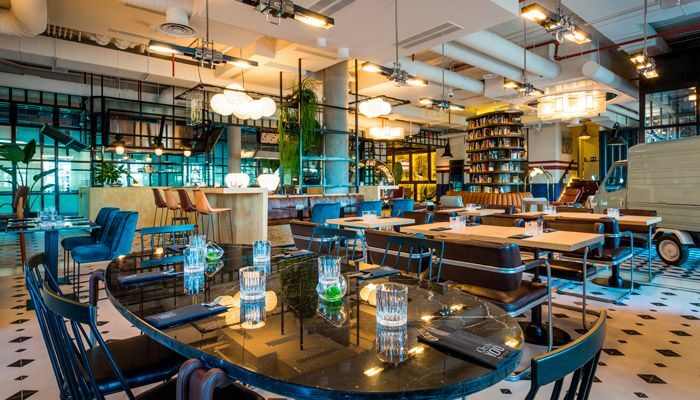 Enjoy the sophistication of this restaurant that bridges East and West. A Zen-like ambience with contemporary artworks, subdued candlelight and bamboo walls are the prelude to the experience. UP IBIZA SKY SOCIETY at Ushuaïa Ibiza Beach Hotel. Striking Sky Lounges with stunning panoramic views and amazing features. 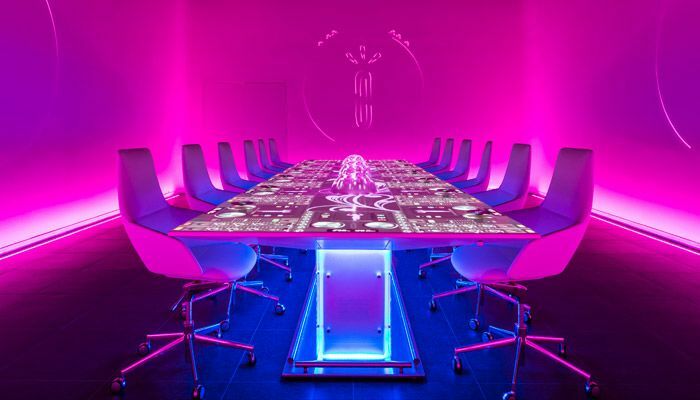 Interiors are decked out in modern, futuristic furnishing and decor, and the service is impeccable. Music is an important element here, with nightly entertainment ranging from resident DJs to incredible artistic performances. The world's biggest LED curved screen at Hard Rock Hotel Ibiza. Illuminating the skyline of Ibiza from the facade of the hotel, this is a 380 m2 concave and modular screen of high definition LEDs. SMART BRACELETS at Ushuaïa Ibiza Beach Hotel and Hard Rock Hotel Ibiza. Hi-tech devises that allow guests to access their rooms without a key, make payments through PayPal and share their holiday experiences on social media via multiple touchscreens around the two hotels. 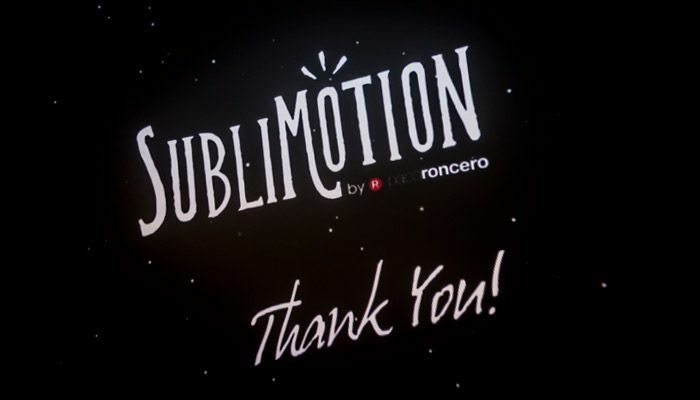 SUBLIMOTION at Hard Rock Hotel Ibiza. 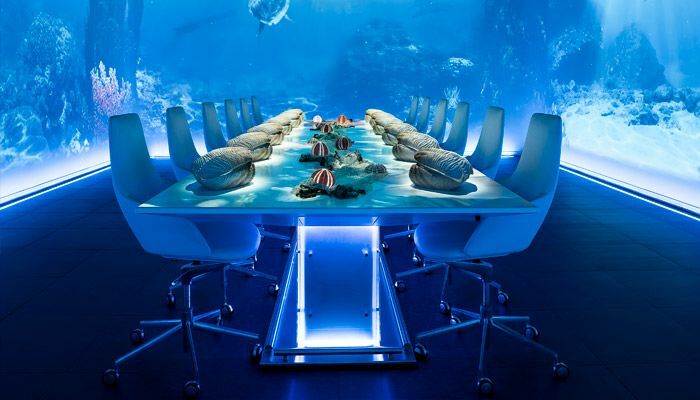 A one-of-a-kind dining experience by Michelin-starred chef Paco Roncero. 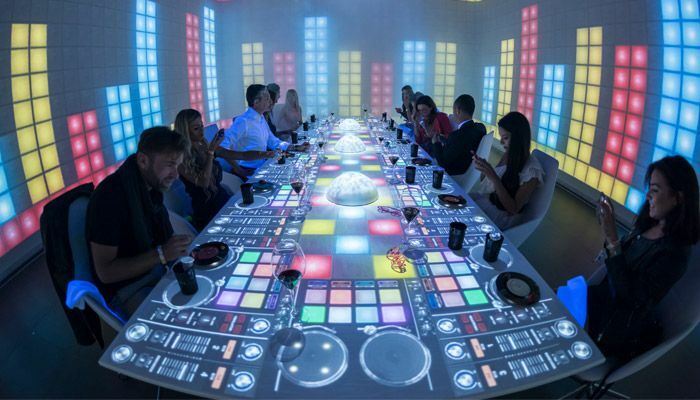 Guest get to dine in a multifunctional space that recreates a unique atmosphere for all the senses, combining innovative technology with exquisite culinary delicacies. Free WiFi all throughout the resorts of Palladium Hotel Group. The service covers both public areas and rooms at all Grand Palladium and The Royal Suites resorts across the Caribbean, Mexico, Brazil and in most of our hotels in Spain. Our consolidated experience in hotel management allows us to offer a comprehensive set of services based on excellence and quality thought a portfolio of six solid brands, generating clear values and strategies for hotel owners to optimize their investment. We offer comprehensive support services including construction, administration, sales, marketing, purchasing, reservations and operational services. A full-grown branding strategy facilitates a connection with clients and enhances the user's experience. Behind every brand, there is a consistent story to promote development and expansion with the support of digital and offline, in-house, marketing. 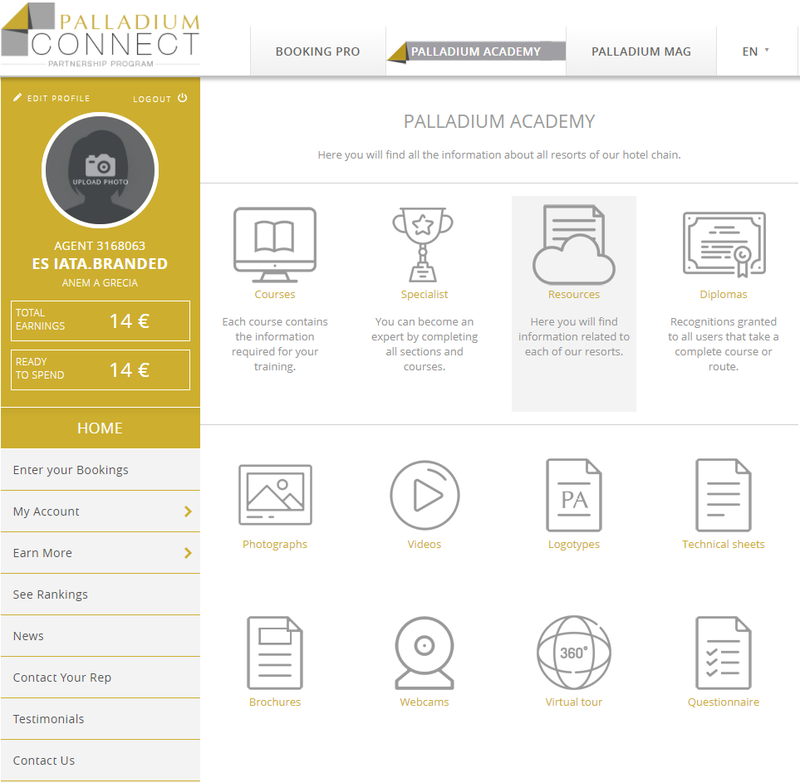 We focus on the costumer's experience and promote engagement through our B2C Loyalty program (Palladium Travel Club) and our B2B Partnership Program (Palladium Connect). A 7 people team works on this partnership program to reward the most loyal travel agents and agencies with bonuses for special bookings, gifts and stays at Palladium Hotel Group hotels. • The repository of multimedia content for professionals who want to learn and know the corporate culture of PHG. - COURSES: e-learning units as a minimum information pill. - SPECIALTIES: specific courses on brands, products and destinations, and issuance of diplomas that accredit the user’s knowledge. - LEARNING RESOURCES: videos, cards, virtual reality, brochures, etc. • Profesional profiles: travel agents (access through Palladium Connect), tour operators, consortia, ota’s, vacational, media and students. We grow in step with the digital age. We turn product innovations into client solutions. We enjoy a bird’s eye view of the massive transformation occurring as advertising shifts to mobile and online platforms. 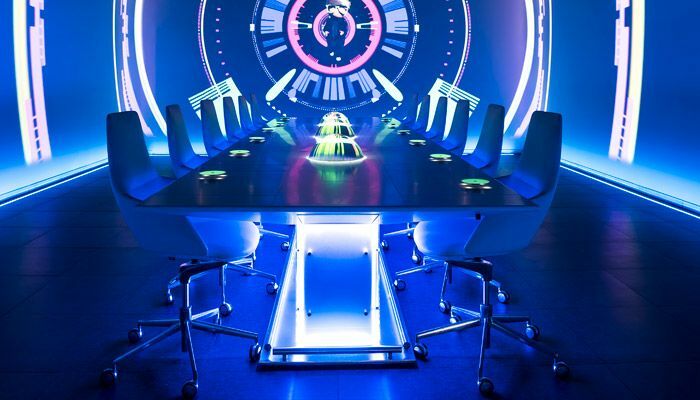 We work with a variety of teams in different departments, such as engineering, legal, and sales engineering to set policies and combat fraud and abuse in a scalable way, often with an eye to finding industry-wide solutions. • Brand Value Dashboard: brand value management tool to monitor and analyze brand awareness in each feeder market. • DAM: digital asset management tool to organize and share more than 10.000 photos, written documents, videos and other digital assets. Taking care of the brand visibility with constant updating of materials such as collateral, letterhead, packaging, restaurant menus, videowalls, tv screens, signage and more. international travel magazines and use digital marketing and technology to increase brand awareness. At Palladium Hotel Group, we work hard to earn our clients’ trust every day. Palladium Magazine has become the travel brochure of the XXI century, an amazing lifestyle magazine that perfectly reflects the Palladium Hotel Group brand in its entirety. It is a valuable information tool for our partners and clients and a crucial element in promoting brand-awareness and engagement. International search engine marketing (SEM) and search engine optimization (SEO) are essential for any hotel business. This is why our SEO/SEM experts provide technical expertise to support our partnerships teams. We define our client’s persona and make sure to deliver an optimal user experience. clients and we can personalize and optimize our communications, services and products, assuring a better experience for them. Our brand representatives work to strengthen brand recognition through both external and internal communication and different public relations strategies. We have a specialized team that plans, directs, controls, coordinates and participates in all communication activities. Press material is organized according to each brand to be presented at press conferences and on radio or television. We work with 8 PR agencies located in different and strategic markets: Mexico, US, Brazil, Argentina, Spain, Italy, Germany and UK. We have created a more intuitive, all-in-one virtual experience to make travel easier and a lot more exciting. These user-friendly apps enable our clients to virtually visit all our hotels around the world. The numerous fun and useful features enable guests to: discover all services and facilities at our exclusive hotels, book at their favourite restaurants, receive alerts for events or meet ings, get the first scoop on latest offers, exclusive prices, and important news, chat with other guests & share unique experiences, and enjoy tailor-made excursions & tours.